When I first saw Maia Heiss, I thought, “There is no way this woman will be able to drop up all 140 pounds of me back, much less get me into Supta Kurmasana.” She was all sinew and sweet smile, not an ounce of body fat. Boy, was I wrong. Not only did she drop me back, she held my body six inches from the ground on the way up, urging me to root into my feet and lift into the chest, and only letting me come back up when she finally felt that shift happen. She also got me into the first comfortable Supta K I’ve ever been in. For the first time, that posture felt right. There was all openness and space where there’d been nothing but constriction and compression. I could breathe. My brain…popped. All was well. It only happened the first time she put me in it, but it was crazy. It was connection. It was union. It was yoga. 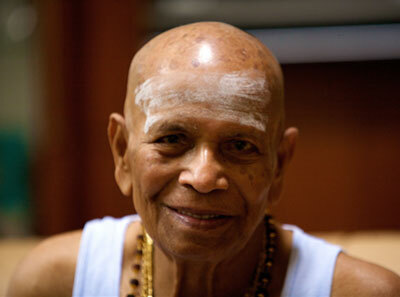 Maia is one of the few Ashtanga teachers certified at the advanced level by Sri K. Pattabhi Jois himself. I think she carries a little bit of him with her in her smile. She holds her shala in Venice, Los Angeles, California, just a few blocks from the beach, in a charming studio space called The Love Dome. Step inside and you’ll see why it has that name. 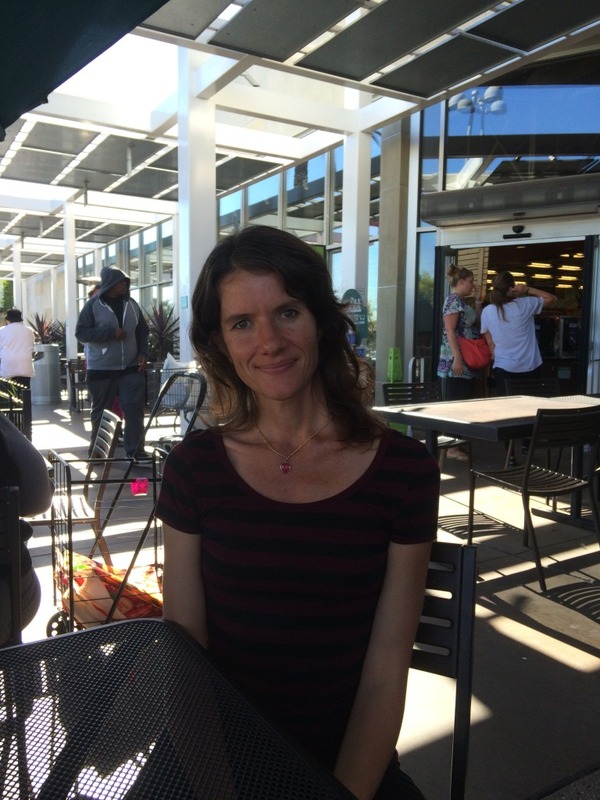 Emma: What brought you to Ashtanga Yoga specifically? 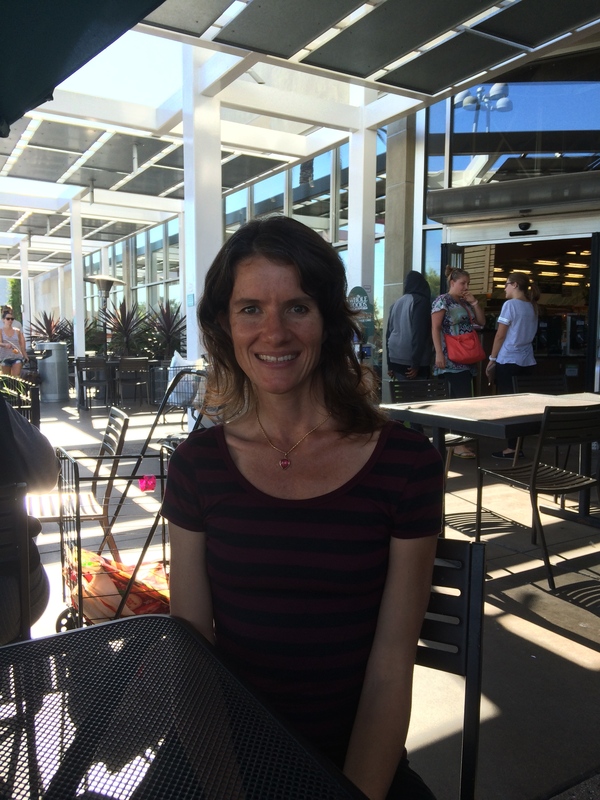 Maia: I started doing Hatha Yoga first, and a year later I found Ashtanga. I had this question in my head, you know? I was suspicious. There were so many variations in the sun salutations. I felt strongly, deep inside of me, that there was one version, THE version out there. 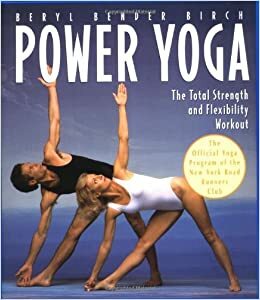 I was at a bookshop with a friend, and he pulled a book off the shelf to show me, and it was Beryl Bender Birch’s Power Yoga. It had just come out. I saw the sun salutations in there and decided this was it! There it was! So I started practicing out of that book. I didn’t even really read it. I’d do the Surya Namaskar, the standing postures, then go out for a run, [laughs], then come back from the run and do the seated postures. And I’d keep going. I kept going until I got sick of it. Then I kept going until it got weird, and then I’d skip to backbends. It’s funny, because, minus the run, it was sort of the method to learn the practice. And I was teaching yoga at the time, believe it or not. E: Yes. It’s terrifying. I feel like I shouldn’t be doing it, but I’m doing it! M: I was in a place where there wasn’t much going on, not much yoga. I realized that I knew [holds up finger and thumb to indicate an inch] this much and I got asked to teach, and I thought, okay, I’ll share this much. [holds up finger and thumb again]. I answered a lot of student questions at that time with, “I don’t know, but I’ll think about it. Then I was buying yoga mats at Hugger Mugger in Salt Lake City, which was the only distributer of yoga mats at the time, and they had Richard Freeman’s Primary Series video, freshly pressed, freshly in stock, and I spotted it from across the room and decided I had to buy it, somehow, even though I was counting out pennies to pay for anything at the time. So I started doing that, and eventually eliminated the run, and started practicing first thing in the morning.Then I remembered that YogaWorks, in California, used to have this early morning class, and when they opened the doors to finish, it was all sweaty in there, and the people coming out looked very serious about what they were doing. And the teacher had this long beard and would sit on the bench afterwards with his feet tucked in and eat an avocado and I thought, “Wow, he’s the real deal!” I was getting ready to move out there, and before I did, I wanteded to make sure that they still had that class. That class was Ashtanga Yoga, Mysore style, and the teacher was Chuck Miller. So I started working with Chuck. Chuck Miller at a Yoga Journal conference in 2007. And life wasn’t so easy for me. 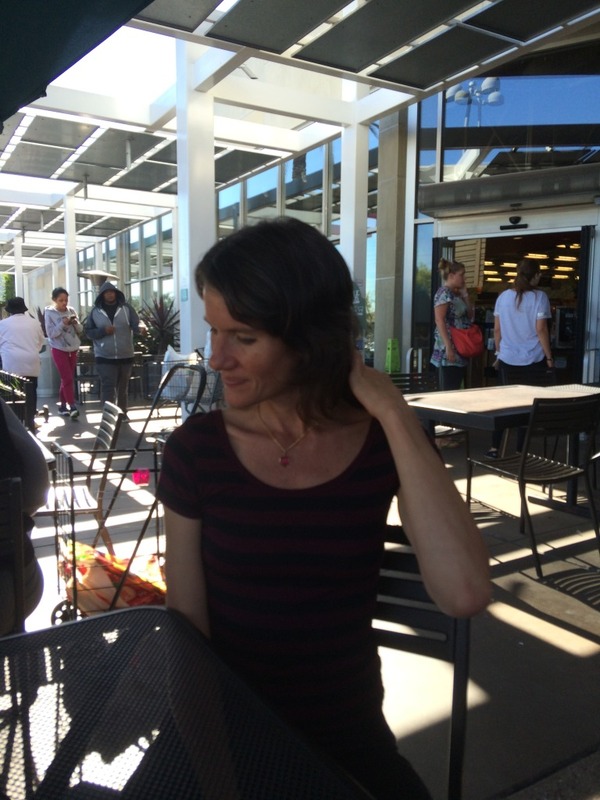 I think most people come to yoga because they’re so enmeshed in this world. To get a little relief from that, they need to find that there’s more than this world. It was the opposite for me. I was very aware of the other side of this world, but being in this side of it was a challenge. E: Can you describe for me what the other side of this world was? M: Guruji used to say, “You see wall as God, you walk through wall.” It’s the idea that this? [taps on table] This appears solid, but it’s only solid because we agreed on that. There really isn’t such a thing as solidity. There’s just a bunch of movement. I didn’t have a lot of solidity in my life. I didn’t have a lot of solidity in my body! I was very, extremely flexible and my mind was extremely flexible. This idea that maybe the world doesn’t center on us, you know, I got that, but yet it was very hard for me to center anything on myself. We have a concept, we have a way that we think things are. I think as yogis, we start to accept that we might not actually know…that what we think we know may not actually be the way things area. That’s part of our path into truth-seeing. That part of the yoga, I got. For me, it was being able to maintain my focus with the idea of this world being as it is, the way we’ve agreed upon, for long enough to be able to function within it. I was at a place in my life where I was so uncomfortable with all of it, with this world. I’d been reading the Hatha Yoga Pradipika. I’d Xeroxed a copy of the Sri Yantra Mandala, and I blew it up a few times with the copy machine so it was a nice picture I could hang on my wall, and I took it everywhere with me. It says in the Hatha Yoga Pradipika that if you stare at that mandala long enough, you’ll be enlightened. I hung it up so I could look at it with any free moment I got. One evening, I found myself at an edge and I recognized that if I kept going the direction I was going, I’d obliterate. I thought my only other option would be to go a different direction…just figure out how to be happy in this world. At that very moment, I turned and looked at that Sri Yantra Mandala, and it spoke back to me. It said, “You already know a way.” At that point, I’d been practicing with Chuck for a few months. And I realized that there were other ways, but I already had one that was going to work. From that that point on, I really became a dedicated practitioner, and made it a daily practice that was going to carry me through the rest of my life, that I could depend upon to guide all these changes that were necessary for me to function and find what happiness would be. E: So for you, the practice was a point of solidity that you could come to and use as a launching pad for the rest of life? M: In a way, yeah, and then years later, when I met Guruji, he really recognized that. I was an unusual specimen in Mysore. I’d already learned Primary Series and Second Series with Chuck, who was a fantastic teacher, and I’d done a few workshops with Guruji, so I already had an understanding of what the practice was, the Vinyasa and Mula Bandha and all that. At that point, it was around 1999 I think, I moved to New York and went through another period of self-practice. Then Guruji came to New York for a workshop. A street vendor in Gokulam, Mysore, India. And for the next four days, when I went to thank him after class, he encouraged me to go to Mysore. I told him my name on one of those days, and he said, “You body very flexible. You come to Mysore. I show you each posture. Be very good for you.” On the next day, he tells me again to come to Mysore, and I’m thinking “What is this old man, asking me to go to Mysore with him?” and I’m guessing that he doesn’t even know my name. So I quizzed him! “Guruji, do you even know my name?” And he said, “Yes, yes, you Maia, coming to Mysore, you coming to India. I not forgetting your name.” This was a guy who would call students he’d had for ten years “you!” Not a names guy. I later realized that, in his local language, in Kannada, maya means “disappearing.” So here I was, this very ethereal, flexible person with that name, and he was just laughing and laughing. E: Gosh, you didn’t waste any time. When I did arm balances, I felt like my hands were being hammered into the earth, like an anvil. There’s something about holding yourself just a little bit off the ground that’s like the resistance of the earth in your hands. It felt very grounding for me. And he would yell at me, and I think he was sending me some Shakti, you know, just trying to get it out of me. I don’t know if I could have done it without him, without him lending me some of his energy. Maia, holding Chakorasana, a posture from the Advanced A series. E: What are all of us post-Pattabhi Jois ashtangis going to do who are coming into the practice without a Guruji? M: When I saw Guruji makes decisions, I saw him put so much faith in God. The way he did his certification is an example of that. When he handed me my certificate, he said very proudly, “No renewal!” And he was so proud of that! It’s not a stamp of certified enlightenment or anything like that. It was an understanding of the method enough to make the yoga happen. I knew Guruji in his later years. I was in India working in the shala with him not too long before he passed away. What I saw with him was that he set everything in place. He got this practice out into the world far enough and wide enough, and in such a way that it’s a well-running machine. And that was his job. I’d say that Guruji’s trust in God would indicate that’s enough. And that’s not to say what happens. We don’t really know! That story remains to be told. It’s going to unfold. I think that it’s [Ashtanga] out in its true form enough to carry through and to continue to be a really strong guide for a lot of people. This entry was posted in Ashtanga Vinyasa Yoga and tagged Ashtanga, venice beach, venice beach yoga, yoga maia heiss, yoga story by Emma. Bookmark the permalink.